Jam-packed with entertainment! Check out the Live Stage line up.. Visitors to this year’s Leasing.com London Motor and Tech Show are in for a treat when they visit the Live Stage. This years show will see a packed agenda on-stage, with live action all weekend that’s bound to make visitors come back for more. 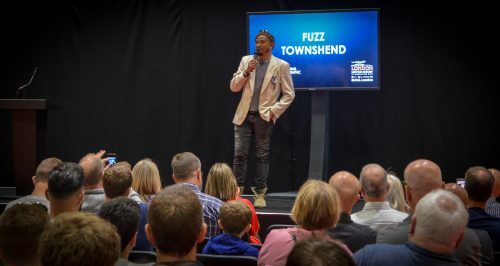 As well as celebrity hosts including Show President Tiff Needell, Wheeler Dealer Mike Brewer, columnist and writer Mike Rutherford and Car SOS presenters Tim Shaw & Fuzz Townshend, the Live Stage will see some fantastic special guests. Among them will be electric car adventurers Arkady Fiedler and Marek Kaminski, who have each driven a Nissan LEAF around the world, along with motorsport guests including rally driver Catie Munnings and female race ace Charlie Martin. There will be a number of interactive elements throughout the weekend, too, including the Leasing.Com Play Your Cars Right game and CAR SOS Name That Part, a true test of motoring trivia. The stage will also play host to the inaugural Britain’s Biggest Car Nerd contest. 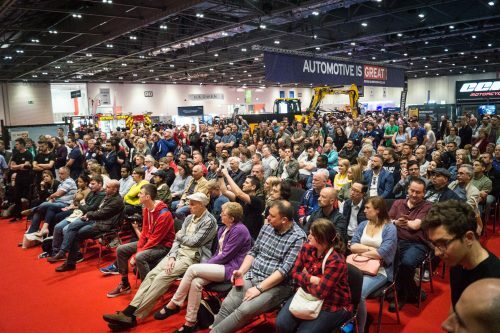 On Saturday 18th May, the London Motor Show Car of the Year will be announced, too, chosen by a specialist panel of automotive journalists who will chat about the finalists and highlight some of the star cars to see at the show. 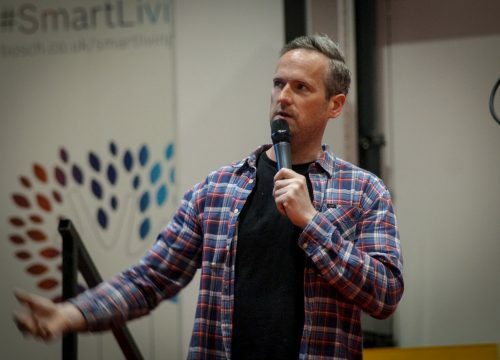 London Motor and Tech Show CEO, Andy Entwistle, said: “The most important part of any live show is its audience, so for 2019 we’re making the Live Stage a major part of the London event. Indeed, the entertainment element is so fully packed that people may have to come back for a second day to have a look around the show. The show, takes place from 16-19 May at London’s ExCel Arena, with tickets on sale now. A full list of Live Stage action is here.